Read more "From Drush make to Composer, one module at a time"
Read more "Building customized, client-unique community portals with Join the Dots"
Building a safe and auditable migration of complex, interdependent data and associated assets. Read more "Migration from old D6 into a brand-new D7 website with Chatham House"
Read more "Drush instance has new release, with bugfixes"
I'm basically Buzzfeeding Stack Exchange for content now. Pity me. 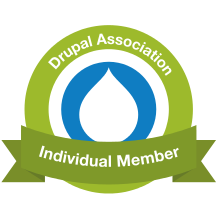 Read more "Programmatically creating a Drupal menu link item"
What, did I really just write that? CTRL-W CTRL-W CTRL-W.
Read more "Why strikethrough is your new workflowing best friend"
Read more "Mixed border and containers v2, versus Villandry"
Read more "Drush 7.x uses a MySQL credentials file, which could change how it connects"
Read more "Many projects at Sushack 2"
The real question is can we all manage a sustained ten hours plus of hacking? Read more "Sushack 2 tomorrow, hacking for sustainable projects"